Raisins aren’t for me, there’s something about the texture that make me cringe, so you can imagine that a Christmas pudding full of raisins and sultanas is my idea of hell. I do have a serious sweet tooth however and I didn’t want to miss out on pudding this festive season, so challenged myself to make a tasty healthy alternative to a Christmas pudding. I wanted to find the perfect pudding that is chocolate, gluten and sugar free but this proved difficult, but I have found some recipes that cover a few of these. 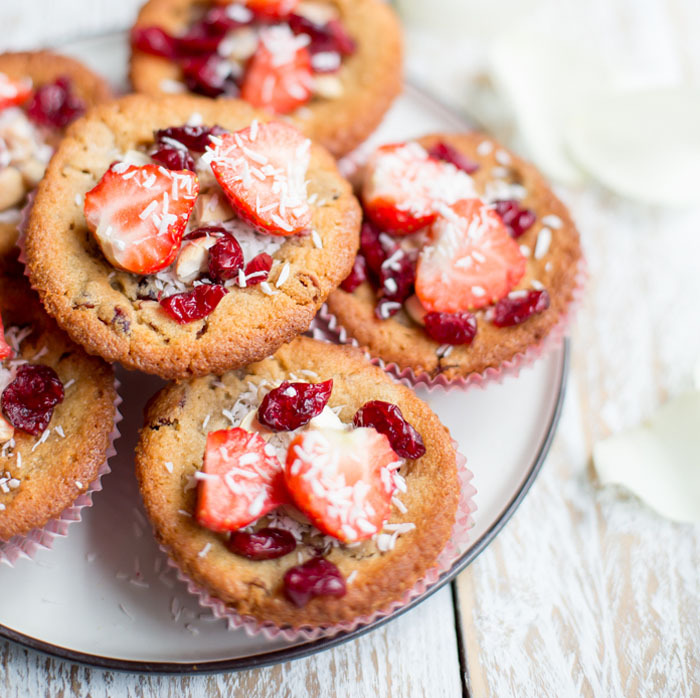 How delicious do these little muffins look? I love Madeleine’s recipes and have her Get the Glow book at home which I would recommend to anyone looking for easy healthy and wholesome cooking ideas. This recipe is from her blog and looks really simple and fun to bake. Cranberries are super festive and in season around Christmas time so I will be giving this a go over the break. 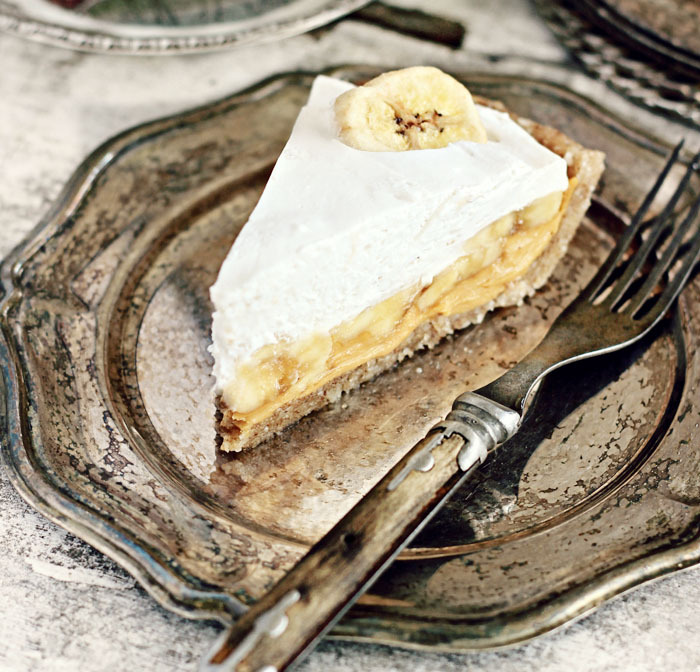 She replaces flour with ground almonds and honey as a natural sugar substitute in this recipe and adds extra goodness with coconut oil. I found Charley on twitter and fell in love with her easy, healthy recipes. 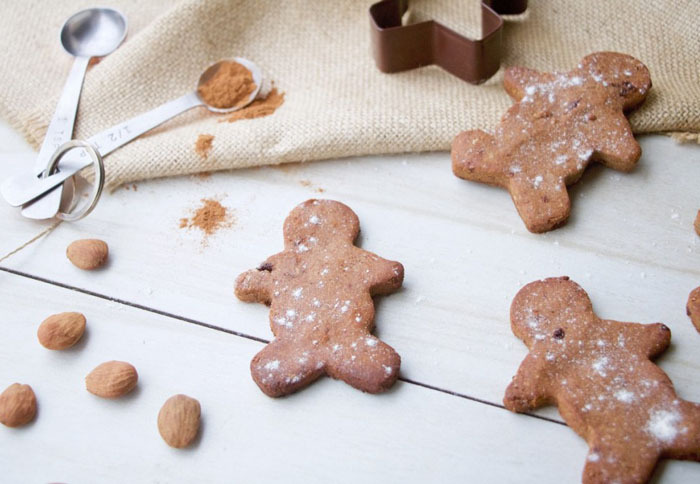 This one caught my eye as I was looking for an refined sugar free gingerbread dish and this one looks really quick and simple. Charley also has a tasty tip of putting gingerbread into porridge in the morning for a warming, cinnamon spiced breakfast, yum! Check out her blog here, and if you fancy something a little different try her Gingerbread Smoothie. Deliciously Ella is another of my favourite health books I always refer to when I want an uncomplicated nutritional dish. 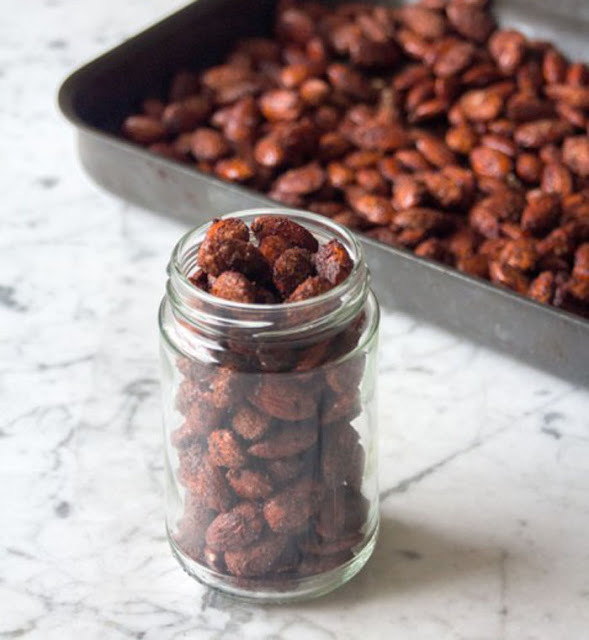 Ella’s blog is also great for new recipes, this simple spiced almonds recipe would be great for snacking on over christmas time. Almonds are fast becoming my new best friend, not only are they good as a quick snack, they make super creamy almond butter once blended. This recipe really made me smile when I was flicking through the Hemsley & Hemsley book, sticky toffee pudding is my absolute favourite pudding but often leaves me feeling super full and unhealthy. When I saw that this recipe uses natural sources of sugar such as Medjool dates and coconut flour for a gluten free option, I knew I had to give it a go. I love that it comes with a simple but fulfilling source too. Banana’s are the perfect fruit to go with puddings and this one looks even more appealing as its super healthy. I will definitely be giving this a go. Merry Christmas everyone, thank you for you support and loveliness over the past year. Follow Anna | Made Up Style ‘s board | Tasty | on Pinterest.